Kendall Glynn is excited to have her first big story on air, that is until her co-worker tries to strangle his on-air partner then stabs himself in the neck with a pen. When she is attacked again by a stranger who’s eyes have turned the same white as her co-worker’s she is determined to get to the bottom of what is going on. Soon it becomes less about finding the story behind the spate of murder-suicides and more about staying alive. Paramedic by day, urban legend by night, Zeke has been on a mission to find and destroy the entity causing havoc in San Francisco. Having treated Kendall after the news attack he is shocked to find her once again at the center of the latest attack. Warning her away from the danger has no effect and the more time he spends with her the less he wants to send her away. 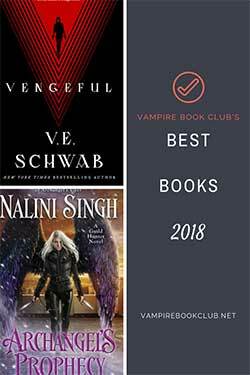 But the force he is battling is one he’s never come across before in all his years as a Nephilim. Kendall and Zeke find themselves in a dangerous cat-and-mouse game, trying to save innocent lives and not become the next victims themselves. Nobody’s Angel starts off really strong, dropping us right into the aftermath of Kendall’s co-worker killing himself on live TV. The plot surrounding these mysterious killings and Kendall’s investigation into them was my favorite part. It has some very interesting twists with mystery, detective work and paranormal elements coming together well. While there is a strong paranormal thread within the mystery plot, it far outweighed the angelic aspect in page time. Even though there are regular chapters from Zeke’s point of view, it’s only really when Kendall gets the big reveal that we find out more about Zeke’s heritage and abilities. Even then she takes it so in stride that not nearly enough questions are asked or answered on the readers behalf. 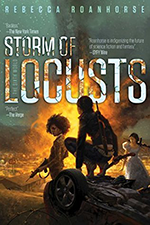 Since this is only novella length I can understand not bogging down the action with big information passages but it’s also the first introduction to the world in this series. I came away not really knowing anything more about Zeke other than the fact he could help souls pass and was being hunting by unknown enemies because he was Nephilim. I liked the set up for the romance between the two. It has a superhero vibe with Zeke’s secret identity as the Guardian Angel. The problem is the chemistry between them just didn’t work for me. It felt too quick with very little tension or obstacles between them. Kendall feels an instant, all-consuming attraction to Zeke after just one meeting and only holds off being with him because she feels the same pull to his alter ego. Once she realizes they are one and the same it goes from intense lust to all consuming love in a heartbeat and I struggled to make the leap with them. 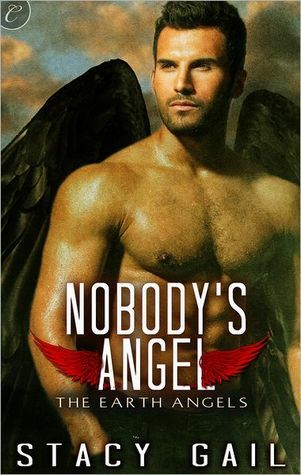 Nobody’s Angel has an interesting action plot with a writing style that flowed nicely, but the romance between the two main characters was too much, too soon for me.